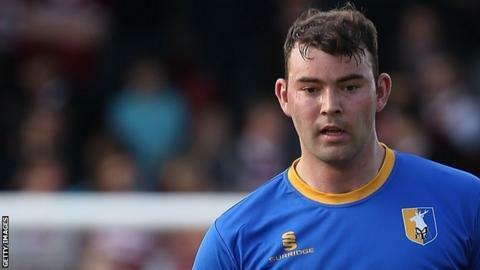 Matt Rhead's second-half double helped Lincoln City beat 10-man Braintree. Lincoln missed a first-half penalty when Alan Power's shot was saved by Will Norris after Jon Nolan was fouled by Mitch Brundle but Rhead's first Imps strike made it 1-0 after the break. Simeon Akinola levelled with a deflected 25-yard free-kick but Braintree went down to 10 men when Brundle dragged down Rhead in the box. Rhead netted from the spot and Craig Stanley's 25-yard effort made it 3-1. Match ends, Braintree Town 1, Lincoln City 3. Second Half ends, Braintree Town 1, Lincoln City 3. Attempt missed. Simeon Akinola (Braintree Town) right footed shot from the centre of the box misses to the right. Attempt missed. Matt Rhead (Lincoln City) header from the centre of the box is too high. Assisted by Jon Nolan with a cross. Foul by Matt Fry (Braintree Town). Connor Robinson (Lincoln City) wins a free kick. Attempt saved. Sean Marks (Braintree Town) header from the left side of the box is saved. Assisted by Taylor Miles. Attempt missed. Simeon Akinola (Braintree Town) right footed shot from outside the box is too high. Substitution, Braintree Town. Mark Phillips replaces Dan Sparkes. Substitution, Lincoln City. Kegan Everington replaces Craig Stanley. Remy Clerima (Braintree Town) wins a free kick. Goal! Braintree Town 1, Lincoln City 3. Craig Stanley (Lincoln City) right footed shot from outside the box to the top right corner. Attempt saved. Luke Waterfall (Lincoln City) right footed shot from the centre of the box is saved. Assisted by Alan Power. Attempt saved. Matt Sparrow (Lincoln City) right footed shot from outside the box is saved. Hand ball by Matt Sparrow (Lincoln City). Substitution, Lincoln City. Matt Sparrow replaces Jack Muldoon. Connor Robinson (Lincoln City) is shown the yellow card for a bad foul. Foul by Connor Robinson (Lincoln City). Goal! Braintree Town 1, Lincoln City 2. Matt Rhead (Lincoln City) converts the penalty with a right footed shot to the bottom right corner. Mitch Brundle (Braintree Town) is shown the red card for a bad foul. Penalty conceded by Mitch Brundle (Braintree Town) after a foul in the penalty area. Penalty Lincoln City. Matt Rhead draws a foul in the penalty area. Substitution, Lincoln City. Connor Robinson replaces Liam Hearn. Substitution, Braintree Town. Sean Marks replaces Michael Cheek. Foul by Craig Stanley (Lincoln City). Alex Woodyard (Braintree Town) wins a free kick. Attempt missed. Craig Stanley (Lincoln City) right footed shot from outside the box misses to the left.